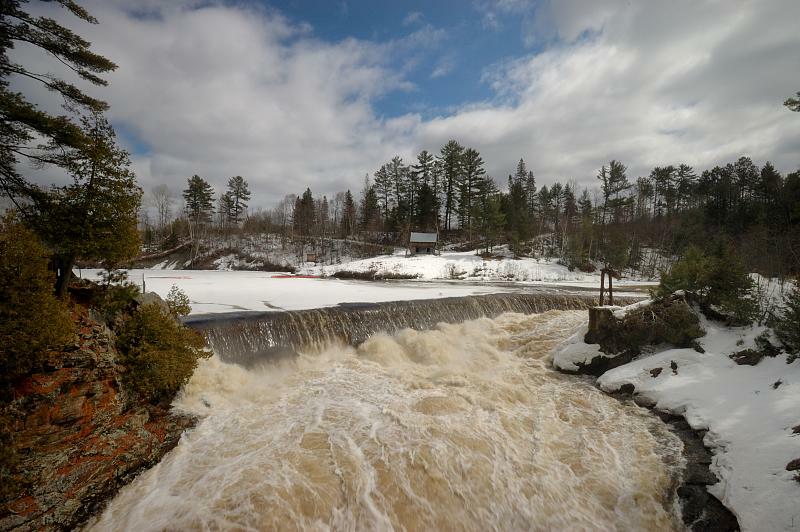 Given that we had a near-record snowfall in Western Quebec this year, I thought it would be a good idea to see what the spring runoff looked like at the Coulonge Falls. And why not? The falls are only 110 km from where I live, after all. This is just one portion of the top of the falls, which are divided into three sections. The middle section is a very impressive drop, and the third is a 100m log slide that was used during the days of the lumber boom on the Coulonge and Ottawa Rivers. I took plenty of shots, included some of my first attempts at HDR and panoramas, so I'll make an effort to get them up in the next few days.